A monumental and extraordinarily beautiful guide to Earth's wildlife and natural wonders - its rocks, minerals, animals, plants, fungi, and microorganisms - this book was 5 years in the making. Covering more than 5,000 species, it is one-of-a-kind; the only book to offer a complete visual survey of Earth's natural history. Packed with thousands of stunning, specially commissioned photographs, The Natural History Book was written by a worldwide team of natural history experts. These writers introduce and explain each geological and biological grouping in an engaging and highly informative way, making this book the perfect addition to every family bookshelf, as well as an ideal gift for every nature lover. 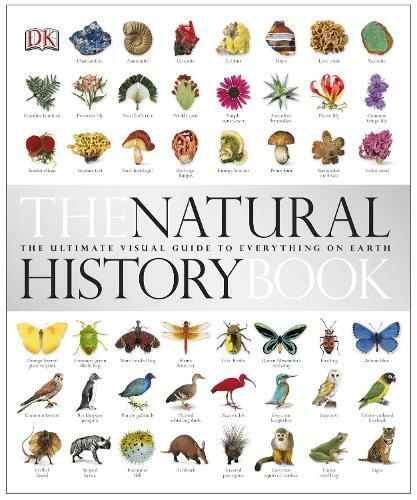 From granites to grape vines, from microbes to mammals, The Natural History Book is a true visual dictionary of every kingdom of life.